Are you a #GirlBoss? Actually, let me rephrase that question. 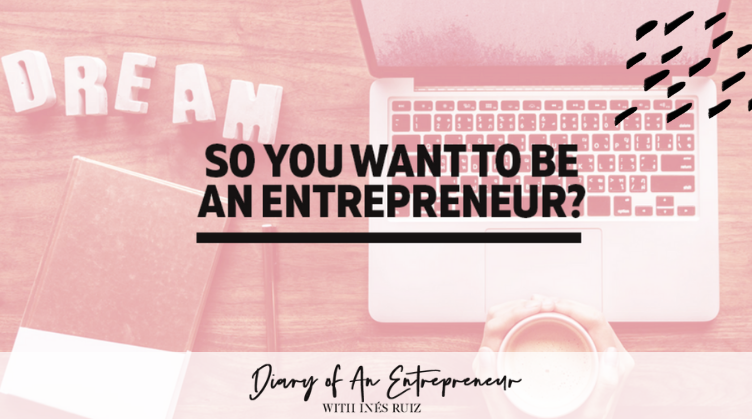 Do you want to be a #GirlBoss but are wondering where to begin? Look no further. I’ve got you. Starting a business… becoming your own boss… branching out into entrepreneurial status… these are all huge things. It’s intimidating. It’s nerve wracking. It’s frightening. But once you take the leap, these former feelings of fear and these feelings of “can I do it?” and “will I make it?”, become feelings of excitement and gratitude and empowerment. You’ll go from wondering “how will I do this?” to wondering why you ever waited so long to begin and get going on your dreams in the first place. At Diary of an Entrepreneur, I (and we as a community) know these steps and feelings all too well. No one ever said it was going to be easy. We do say, however, that it’s going to be worth it. If you’re in the beginning stages, now is the time to start planning and to start mapping your future. Begin writing in a diary or an online journal: write down your thoughts, your feelings, your dreams. Read books on female entrepreneurs and business women. Listen to podcasts. Connect on LinkedIn. Follow #BossBabe and #GirlBoss hashtags on social media. Let yourself soak up this outside goodness. Learn from others – from both their successes and their failures. Research business models. Watch TED Talks. Schedule lunches with business and creative professionals whom you admire. Think of yourself as a sponge. You are ready, willing, and able to absorb the good fortunes and successes of others. Think of every business owner and entrepreneur as your teacher, and you, their pupil. One of the most important lessons of becoming an entrepreneur is to realize that success does not happen overnight. Wanting something and being ready for something are two very, very different situations to be in. You must plan and prepare in order to execute. When the time is right to officially leave your job, take out that business loan, or hire a full-time nanny for the kids, you will know. But until you know so deeply that you feel it within your bones, you are not yet there. Take a deep breath. Slow down. You’ve got time. During the initial idea stage and the execution stage, take advantage of having the time to really work on your business model — whatever that business might be. Once you’re working for yourself and have employees depending on you, there will be no downtime, so really enjoy this period of planning. During this time of soaking up business podcasts and biographies, and meeting with those who have inspired you, you should remember to listen to yourself and your wants and needs as well. Write down your visions and business ideas in your journal. Create Pinterest boards. Construct a tangible vision board. Allowing yourself the time and the space to really and sincerely nail down your business plan will mean you aren’t left scrambling later on. Here at Diary of an Entrepreneur, we like to remember to always take the leap… but to only take it when we are ready.